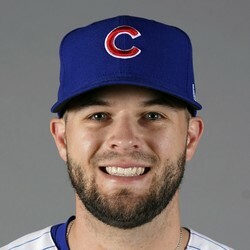 David Bote went 2-for-4 with a walkoff RBI single in the Cubs' 2-1 win over the Diamondbacks on Sunday. Bote usually draws the start against lefties, and took advantage of his opportunity today. He now has an .835 OPS and .295 AVG in 50 PA this season. He doesn't play enough to have mixed league value.